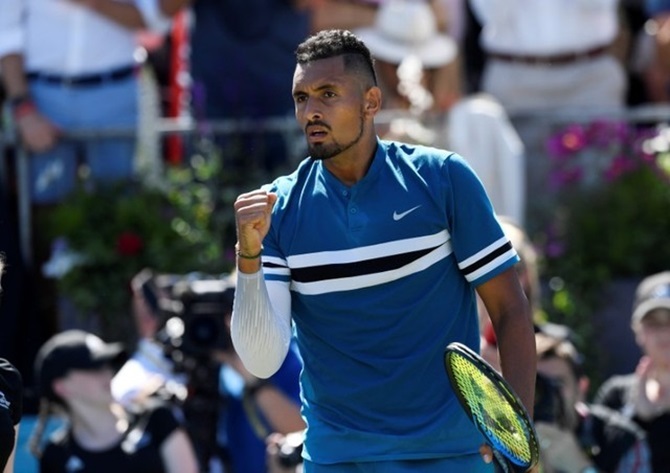 The 23-year-old was in dazzling form as he claimed a 7-6(5), 7-6(3) victory over the defending champion to set up a clash with top seed Marin Cilic, who breezed past Sam Querrey. Former world number one Novak Djokovic also looked in ominously good shape as he beat France's Adrian Mannarino 7-5, 6-1 to book his place in the semi-final. Wildcard Djokovic racked up his 800th career win and will face in-form Frenchman Jeremy Chardy in the semis after he beat rising American Frances Tiafoe 6-4, 6-4. So far his favourite weapon has delivered 4,100 pounds ($5,400) this week to a London children's hospital, which benefits to the sum of 50 pounds for every ace fired down on the Queen's centre court. 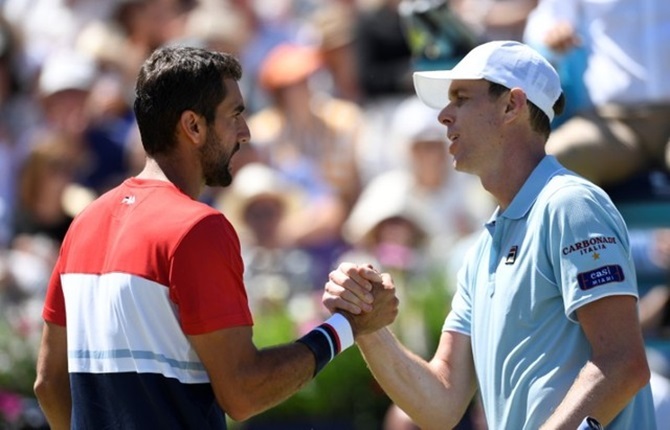 The day's earlier match was a snooze fest by comparison as Cilic beat Querrey 7-6(3), 6-2 in little more than an hour.